Lathe cut in edition of 1, produced during CLUB TRANSMEDIALE 2006 by Jan Zimmermann. One take, direct to vinyl, with no edits or overdubs. 33.99 records was a temporary, instant and one-of-a-kind record label by Jan Zimmermann, Derek Holzer, Sara Kolster and Meik the Mischer. During 11 days alongside Club Transmediale, 99 seven-inch records were cut with different artists from the program and visitors to the studio, each containing a unique performance, improvisation or moment in time recorded directly to vinyl. This is one of those. 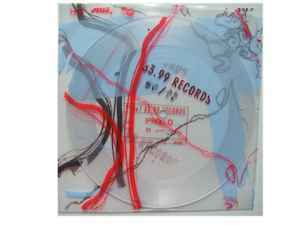 33.99 Records was a co-production of Jan Zimmermann, Umatic.nl, M12/Visomat, Dense Records and Club Transmediale.